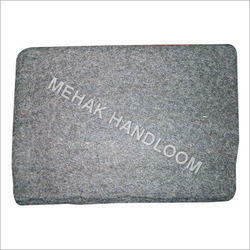 Leading Manufacturer of barrack blankets from Panipat. Owing to a long haul end for our business, we are occupied with offering a wide extent of Barrack Blankets. Our offered blankets are accessible in different prints and examples that superbly suits the requests of clients. In addition, quality testing of these blankets is altogether performed by our quality controllers in act with quality standards of industry. Clients can benefit these jazzy blankets at reasonable costs. Looking for Barrack Blankets ?